Please be aware that winter weather is continuing through at least Wednesday. We are expected to have snow and ice in the mornings but this should melt by the afternoon. Temperatures should not be severe but please continue to monitor your plumbing for any problems. On colder nights, leave doors open below sinks, allow faucets to run slowly and keep foundation vents covered. A little prevention goes a LONG WAY! With our morning commutes being effected by snow and ice here are a few common sense tips if you have to be on the road. 1: Don’t. If you don’t need to go out, don’t. Why risk it? 2: Visibility. Okay, so you have to get on the road, Give yourself time to warm up the car and clear your windows of any ice. Make sure you have good wipers and anti-freeze window washer fluid. When you drive behind cars on snowy roads you will get dirty windshields as the car ahead of you throws up dirty slush which can reduce your visibility greatly. 3 Traction: Check your tire tread. If you have older tires and drive on snowy icy roads you are really taking a risk. Even new tires require careful driving to avoid accidents, and on icy roads even the best of tires are useless. 4: Preparation: For any cold weather driving make sure you have clothing (coat hat gloves boots) which can keep you warm, or possibly someone in need. A small folding shovel and ice scraper fit easily in your trunk or behind a seat, have some healthy snacks and a ‘space blanket’ for extra protection. Make sure your cellphone is fully charged and if you will be on roads that don’t have much traffic, let a friend know of your travel plans so that if you don’t show up in a reasonable time they’ll know where to look for you. 5: Slow and Steady. Don’t plan on driving the posted speed limits in snowy conditions. Give yourself some extra time to make appointments. Even if other drivers are going the speed limit, if there is snow, ice or slush on the road SLOW DOWN! On curvy and hilly roads this is especially important. Don’t do any sudden movements, only apply easy pressure to accelerate, brake or steer. Take your time and avoid running into a ditch or sliding into another vehicle. A good habit is to test the traction on the road at the start of your trip. When you accelerate from your first stop pay attention to any slippage you may feel. When you come to your first stop, slow down early and tap your brakes with increasing force to determine if there is ice which will prevent you from stopping quickly if you need to. Do this a few times as road conditions can vary widely depending on amount of traffic and temperature changes along your route. 6:Slip n Slide: If you do start to slide, take your foot off the gas and DON”T brake. Doing either of these will cause your slide to get worse. Stay Calm, steer toward the direction you want to be heading in. As you coast you will slow down and regain traction, unless you are on a bad patch of ice. If you are going down hill GO SLOW. Icy roads which are hilly should be avoided. Also, be aware than bridges and overpasses will be icier than other roads. 7: Defense is the best Offense. Remember, other drivers my not be as experienced in driving in snow, or they may be distracted. Give yourself extra room between you and the car ahead. If you have someone tailgating you also need to factor them into a possible situation where you may have to stop quickly. 8: Practice. We don’t get much snow or ice here in Middle TN but if possible, find a vacant parking lot when there is snow and practice driving in it. If you have a teenager who is new to driving, get them out there and have them experience what it is to have a slippery road surface. Better to slip and slide with nothing to run into than risk accident or injury on the road. Here in Middle Tennessee we don’t get much opportunity to drive in snow and ice, so if you don’t have to, don’t. Stay home and enjoy the white scenery. But if you do, be careful and use your common sense. School is out, the grill is fired up and the sweet tea is flowing -it must be summertime in Tennessee! Get away’s are being planned, whether a week at the beach or a weekend camping at the lake and there are some reminders on keeping your home safe and secure while you’re away. 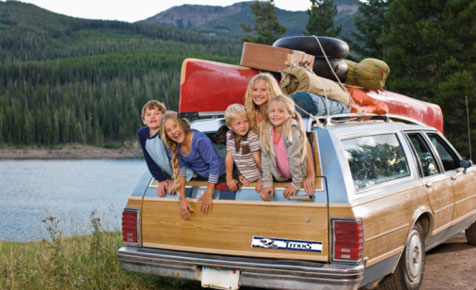 So before you start loading up the station wagon read this short article and then head out for your Summer Adventure! Make sure you that you double check that all doors and windows are secure. It’s also a good idea to have more than one person check just to be on the safe side. There is nothing worse than getting an hour away from home and trying to remember if the back door was locked.. or if the oven was turned off. A few extra moments before you leave the driveway can reduce a lot of stress, and isn’t that what a vacation is all about?! Let your neighbors know your schedule and have them collect your mail and pick up any papers or advertisements left in your yard or on your porch. Have someone park their car in your driveway at night if they can. Also make sure your neighbors have a way to contact you. Your cell phone is best but if your in an area without cell coverage, there should be a phone line available either at your resort or a local store where you can check for any messages. If they can, have your neighbor check your home’s doors and windows periodically just to make sure they remain secure. Leaving your pet home is sometimes nice and sometimes necessary depending on where you are going. Having a dog (one that barks at strangers) outside can help keep any unwanted folks from getting easy access to your home. Having someone coming over to make sure pets are fed and watered daily is a great way to make sure your home is safe. If your pet stays indoors, please make sure to provide adequate cooling. Middle Tennessee gets hot in the summer and your pet will not be comfortable if temperatures get over 90 degrees. Leaving your thermostat between 80 and 85 will allow you home to stay cool enough without running up your utility bill. If you have someone you trust you can always ask them if they’s like to live in your house while you’re away. That is the best security, so long as they are trustworthy and responsible. There are professional house sitters who charge a fee to stay while your away, if you decide to use them check their background and get references. Hopefully you will have friends or family who will enjoy getting our of their house and see it almost like a vacation. They may be happy to house sit for just a full refrigerator and pantry! If you are unfortunate enough to have a break in while you’re on vacation you can at least make it difficult for your some of your valuables to be stolen. Wall or floor safes provide much better security than the bottom of the underwear drawer or a foil wrapped package in your freezer. Ideally you can have a safety security box at your bank. One item often overlooked is the data on your home computer. You may not think much about having a $500.00 computer stolen, but if that computer is the only place all your photo’s from the last 10 years are kept that’s a whole other story. If you haven’t created a back-up of all your important computer data, STOP READING THIS and do it now! There are so many inexpensive options available and if you don’t know where to start call your most computer knowledgeable friend and have them help. While we are on the topic of computers, some folks love to post updates to any number of Social Media websites. 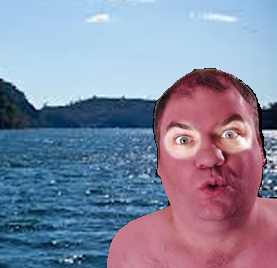 Just remember, that even though you may think only your friends can see your new sunburn, if it looks painful enough they may just share it with all their friends and before you know if your vacation has gone viral! It is hard to imagine that some people would actually spend there time looking for homes of families who have gone on vacation so they can easily break in and steal or even just vandalize the property. Vacations are a great time to get away and enjoy family and friends. With a few precautions you can be sure that your home and valuables will remain safe and secure while you are having fun and making new memories which will last a lifetime! Phil Thompson Properties provides home and commercial property rentals throughout Dickson County in Middle Tennessee. Winter is here and it’s important to take time to make sure you are ready for the harsh weather. Here in the Dickson TN area we are blessed to live surrounded by beautiful large trees. From Spring through the beginning of Autumn those trees offer shade along with their beauty but then all those leaves begin to fall as the weather cools. If your home is close to even a single tree you should check your rain gutters to make sure they are clear. 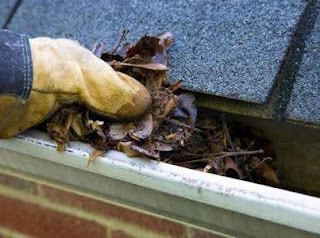 If the gutters are full of leaves they won’t drain properly causing water to back up and run under the roof and down the walls. This will cause water leaks and flooding. All it takes is a ladder and a pair of gloves and if you are unable to do this yourself, ask a neighbor or see if your church can offer assistance. Don’t forget to close or cover the crawl space vents around your home as it will keep the house warmer and help prevent your water pipes from freezing. There are many options available to do this. Hardware and building supply stores can help you choose what is best for your situation. Here in Dickson, Lowe’s carries a selection of vent covers including a magnetic one which fits over metal covers without having to use screws. Cutting stiff foam to size and inserting on the inside of your vents is an economical way to seal and insulate your crawl space vents. Also, changing your air filter every month will assure your home will warm efficiently and reduce your energy bills. When the temperature drops below freezing (not too often here in Dickson, TN) make sure to leave your faucet dripping at a fast steady pace. Leave it like that day and night until the weather warms up because pipes will freeze during the day as well as night. also, leave your cabinet doors open below your kitchen and bath sinks so the heat can get to the water lines. If you let your pipes freeze there is nothing that can be done until the weather warms up and the pipes thaw themselves out. 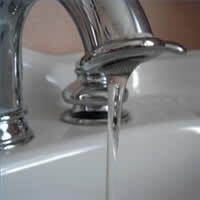 There is also a chance that when your pipes freeze the ice will expand and burst the pipe resulting in costly repairs. 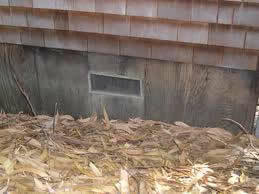 When they do thaw out the water will run out under the house (or worse, into the home) until the main valve is closed. Take these precautions as they can save you a lot of misery and expense. A little preparation goes along way toward making sure that winter is an enjoyable time of year. These tips are brought to you by Phil Thompson Properties provider of rental homes and properties in the Dickson Tennessee area. 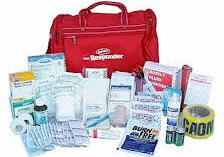 Most people don’t like to think about emergency situations let alone making preparations for one. We at Phil Thompson Properties know that taking the time and making a minimal investment can not only lessen possible discomfort but could save your life or that of a loved one or neighbor. Emergencies can take many forms. Here in Middle Tennessee we are familiar with tornadoes and flooding but we can also be affected by power outages created by events far away. The New Madrid fault line which runs along the western Tennessee border, is also capable of causing large earthquakes which could damage homes, roads, water and sewer services in Dickson County. A sudden increase in gasoline prices could halt much of the transportation we rely on for getting groceries to our stores. This is not to be alarmist but we need to be careful not to take our daily comforts and conveniences for granted. Being prepared focuses on these basics, having at least three days of food and water for everyone in your household along with shelter and first aid capabilities. 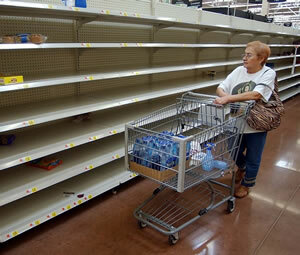 Most store shelves will be empty within 24 hours after a community-wide or larger disaster strikes. Here in Middle Tennessee we have a mix of large towns and very rural areas. Most folks out in the country have well water and keep a stocked pantry root cellar due to their distance from there closest grocer. People in the larger cities such as Dickson should not count on being able to get to the Kroger or Food Lion before the bottled water has sold out. A minimum of one gallon of water per person per day. 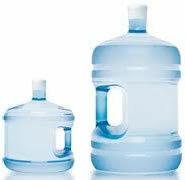 Store water in 3 or 5 gallon containers which can be easily moved if necessary. Buy bottled water or store tap water in washed plastic, fiberglass or enamel-lined metal containers. Sanitize containers with a solution of one part bleach to ten parts water before using. If your tap water is commercially treated, you can use it as-is. For well water or untreated public water, follow treatment instructions provided by your public health service. Seal the water containers tightly and label them with the date. Store in a cool, dark place. Refresh your water supply every six months. If you’re on a private well in an area prone to electrical outages, you might want to store larger amounts of water to flush stools and for general cleanup. The bakery departments of grocery stores receive pre-made frosting in covered buckets and will often give you those buckets free. Cat litter and other products come in suitable 2-3 gallon covered buckets. Look around to see what you can find. Canned foods are a good choice. Buy ready-to-eat meats, fruits, and vegetables. Buy canned or boxed juices, milk, soup, and powdered milk. Peanut butter is a good source of protein. Crackers, granola bars, cereals, trail mix. Sugar, salt, pepper, other spices. Don’t forget a manual can opener! Having a fully stocked freezer is great.. until the power goes out. 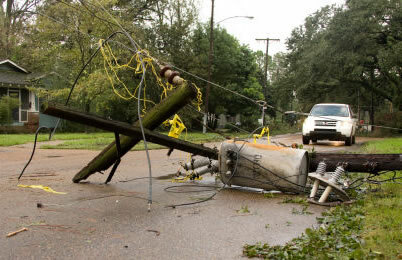 If you do not have a power generator to keep that freezer going you need to have sufficient dry goods on hand. First aid manual, scissors, sterile bandages, gauze pads, cotton balls, safety pins, latex gloves. Antibiotic ointment, cleansing agents such as isopropyl alcohol and hydrogen peroxide, germicidal soaps, moistened towelettes. Aspirin, anti-diarrhea medication, antacids, syrup of ipecac (to induce vomiting), vitamins. Check at your favorite local store for a comprehensive first aid kit and make yourself familiar with its contents before you need them. Take a CPR course or make sure one of your housemates has. Ask your doctor or pharmacist for advice if you wish to store your regular prescription medications. Battery-powered radio or television and extra batteries, a NOAA weather radio. There are many “Survival” radios and lights which use a hand-crank to recharge their batteries. Shutoff wrench, pliers, shovel and other tools. Duct tape, scissors, plastic sheeting. Paper plates, plastic cups and utensils. Plastic trash bags. Hand sanitizer, liquid detergent, towelettes, soap. Toilet paper, paper towels. Chlorine bleach and other disinfectant cleaners. Copies of important documents. Cash or traveler’s checks. Supplies for babies and the elderly. Things to do: books, games, toys. Store a supply of food and water in your car. Include jumper cables, flares, ice melt and other seasonal items. During warm summer months keep extra water and a portable source of shade such as a large umbrella. Keep your gas tank filled and if you commute a long distance find safe places along your route you can stop if necessary. There are many things to consider when looking at disaster preparedness and much information available online. Everyone has unique circumstances so please use the above recommendations as a guideline for your specific needs. The Tennessee Emergency Management Agency has put together a great source of information here. 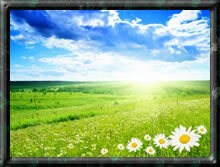 Here are some tips to make your Spring Cleaning quicker and maybe even funner this year! I used to love ‘helping’ to accomplish small cleaning tasks when I was growing up. 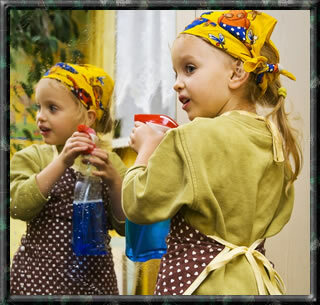 I liked cleaning windows because of the squeaky sounds it would make (strange right?). Mom would always have to finish the edges (they looked perfectly fine to me) but it seemed to help. If your children are small you will want to save the complicated tasks until their sleeping are have grandparents take them to the park. Roommates should be able to pitch in at least a little, or maybe bring lunch or dinner since you are making their lives better! You have your plan, stick to it. If you find that your plan needs to be changed don’t delay, change it. Distraction is a killer (in so many ways!). Get the clutter out of the way first (see tip #5) and then stick with one area at a time. Seeing one area completed will help keep you motivated to finish the entire house. There are layers in cleaning. You have to move the week old junk mail off the dresser so you can dust, the toys and clothes need to picked up so you can vacuum, the dishes need to put away so you can sanitize the countertop etc. Do those tasks first and so that you don’t have to move anything more than one time. 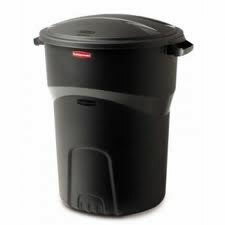 If something is trash then get it in a trash can. Extra steps can add up quick so if you have to touch or move something do it only once. Getting the windows open and letting fresh warm Spring air invade the forsaken nooks and crannies in the house always provides a lift to the spirit. Hopefully you do not have a freshly fertilized field up wind. Open up the house and put some dance music on and think of the calories you can burn! Let gravity make your job easier by working with it! Dust the ceiling fan, light fixture and any crown molding. Work your way down the walls, over the furniture, all the way to the baseboards and flooring. Nothing worse that finishing your dusting and vacuuming and looking up at a half an inch of dust on the ceiling fan blades! Make some fresh coffee or tea (or sweet tea here in Tennessee) and take a short break after completing a task. This can be a fun activity and you only do it once a year (apologies to any house cleaners reading this). When you finish a room or an area take a moment, grab a beverage and look at your fine work and appreciate it.. you’ll probably be the only one who notices.. but that’s okay! Next time you need to deep clean you can make it an easier process. Make a list of small tasks you can take care of consistently without spending too much time. This will not only make your live easier next Spring but keep you home in better shape throughout the year. Happy Cleaning!